Big Table Publishing Company, 9780988619197, 200pp. Are you going through your life on autopilot? Are you doing the day-to-day things that need to be done, but not doing what your heart is telling you to do? 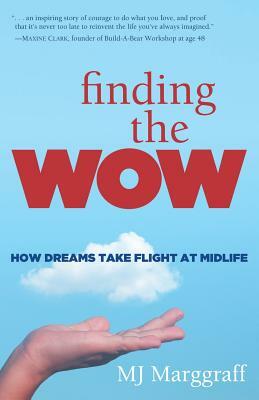 Finding the Wow is the uplifting story of a mom who realizes that she's not happy, just busy. When MJ and her friends-the Chicks in Charge-fight to redefine their second acts, they discover their strengths as they face their individual challenges-a failing marriage, long-forgotten dreams, and illness. MJ shares her own moments, harrowing and wonderful, great and small, on her journey to becoming a pilot. On these pages, you will find tales of humor, tragedy, excitement, disappointment, vulnerability, and the friendship of the invincible Chicks who battle obstacles, find courage, and triumph Like the Chicks, you may find purpose in unexpected ways. But whatever your airplane is, fly it.